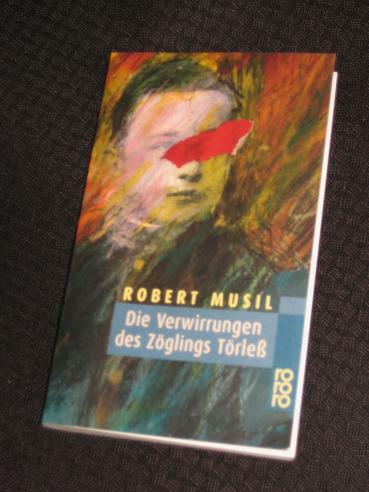 Die Verwirrungen des Zöglings Törleß (The Confusions of Young Törless) was the first novel of Robert Musil, an Austrian writer known mainly for his lengthy, acclaimed, unfinished novel, Der Mann ohne Eigenschaften (The Man without Qualities). A classic Bildungsroman, this early work follows an adolescent caught between childhood innocence and the certainty of adult life, examining his struggles to come to terms with the difference he senses between himself and the people around him. At the start of the novel, young Törleß is passing a free evening in the local village, having just seen his parents off from their visit to the academy. Along with one of his close friends, Beineberg, he drinks at a bar before dropping in on Božena, a peasant woman who has drifted from a life of servitude to one of entertaining men in search of female company. These initial scenes takes up a significant part of the novel, and even at this early stage, it’s clear that Törleß is a dreamer, gazing out of the window and wondering what lies behind the images he sees. The real story begins once the two young men arrive back at the institute, when the third of their tight-knit group, Reiting, reveals that he has discovered the identity of the thief who has been taking money from the students’ lockers. However, instead of turning the culprit, Basini, over to the staff of the academy, he decides that this is the perfect opportunity to indulge in some blackmail. With the unfathomable Beineberg in agreement, Törleß finds himself pulled along into a situation where poor Basini becomes the trio’s plaything, with devastating results. Much of the rest of the book focuses on Basini’s degradation at the hands of Reiting and Beineberg. Their cruel treatment involves threats to reveal his secret, savage beatings and sexual assault, and they’re able to get away with all this thanks to the design of the institute, with its many nooks, crannies and secret rooms. The story is told from Törleß’ point of view, and while he is less responsible for what goes on than his classmates, we still get to experience the bullying, albeit half-seen and heard through the darkness. There’s an obvious allegorical nature to the behaviour as Musil examines the power of the many over the individual, and the way this power is too often misused; with the teachers largely conspicuous by their absence, the novel has undertones of a Lord of the Flies-type scenario. Gradually, he begins to narrow his focus to the duplicity of the world, wrestling with the concept of the object behind the word naming it, and the gap between the name and the thing. He comes to believe that we move from one to the other with knowing how the gap was bridged, leading him to seek answers in maths, religion and philosophy, before finally realising that they can only come from within. 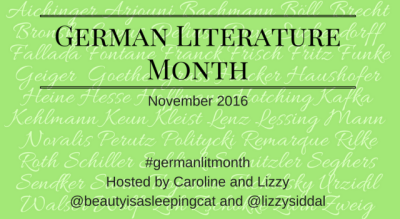 As you may have gathered, I found this a wonderful read, dark, brooding and nihilistic in places, with the barbarous action almost peripheral when contrasted with Törleß’ dilemmas (there’s an obvious nod of the head, in English, at least, to Goethe’s rather more dramatic Bildungsroman). Our friend’s distracted progress through this crisis of development is contrasted with Reiting’s amused cruelty and Beineberg’s obsession with the darker side of eastern religions. These two are depicted as monsters and manipulators, their characters already fully formed; Törleß, however, is still in his larval stage. Having little sense of what the future will bring, he drives himself half mad trying to figure it out. The English version of the novel (The Confusions of Young Törless) is available in Shaun Whiteside’s translation from Penguin Classics. I didn’t much care for this book at first but it developed into quite an astonishing book. I was amazed at just how graphic it was considering when it was written. Jonathan – I usually avoid commenting on such issues as it can come across as slightly puritanical, but I’d certainly agree – there’s no hiding what’s going on here. I was very pleased to read your conclusion as I bought this (in translation) as a ‘warm-up’ to reading The Man Without Qualities – it certainly seems to have worked in your case!